Leaders need to make sure not to allow any of those reasons to overshadow being healthy. There are some very practice ways you can begin to or maintain healthy habits. The main areas you should concentrate on when it comes to healthy habits are what you consume, sleep, and exercise. Those three areas have a significant impact on your health. Let’s talk about each of those areas. The old saying of “you are what you consume” is very true. You have to be smart about what goes into your mouth if you want to create healthy habits. You should consider and rethink the food, drink, and drugs you consume. Food- The convenience of fast food restaurants can make it difficult for a busy leader to eat healthy food options. You should reconsider meal times and snack options. Spending a little more money and taking time to plan what you will eat can increase the chances of eating healthy foods. 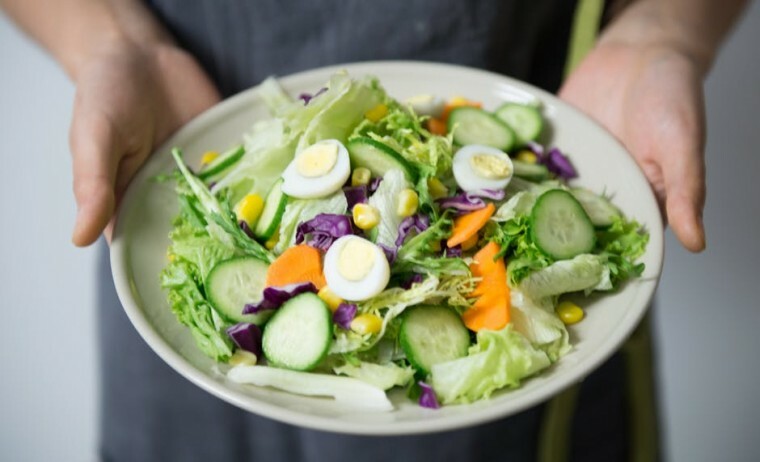 You should consider: planning for and preparing healthy snacks and meal options in advance, choosing a healthy food options when at a restaurant, cutting back on the junk food, and having a well-rounded diet that includes proteins, fruits, and vegetables. Drink- Regularly consuming drinks with a high amount of sugar (like soda or energy drinks) will negatively impact your health and energy level. You should limit drinks with high sugar or caffeine levels and replace those drinks with water. Most people don’t drink enough water and as a result are dehydrated. The water you drink will depend on how much you weigh and your daily activities. In most cases you should be drinking eight 8 oz glasses of water each day. I’ve found it helpful to drink a glass of water when I first wake up and before meal times. It increases my energy level and allows me not to overeat. Your goal should be to drink more water. Drugs- You should avoid illegal drugs and careful about over the counter meds you take. For example, if you have a head ache you might consider drinking a glass of water or taking a warm shower before taking an over the counter pain reliever. Or, if you are having a difficult time falling asleep instead of taking a sleeping pile right away, you might want to consider reading a book or laying down with your eyes closed for a short amount of time. You should also do your own research by reading the labels and warnings of the drug you want to consume. You can also ask doctor or your health care provider about the drugs you want to use. Questions: How are you creating healthy habits into your life? How do you monitor and manage what you consume? Have you seen any of these disproportionately impact leaders, or their followers more than others? In my experience some of the above you mention centers around an attitude that relates or looks similar to being selfish – putting personal wants above others to their detriment. Another aspect I find around drink is alcohol. My view is skewed as I came from a home of alcoholics, but those types of drinks can also negatively impact leaders and their followers. I think we can all become better at managing those three areas. I’ve seen a lot of people/leaders use energy drinks, eat unhealthy food options, and use over the counter medication all because they think it’s the best option or will help them, but often it only helps in the short term. I think these things are often overused and we can do a better job about taking care of our self’s, being stewards of the bodies God has given us. I still have a long way to go when it comes to those three areas but I’m striving to be a healthy leader. Alcohol is a controversy topic in the church world. One that’s it’s hard to explain in writing so I’m not going to try:) Thank you for sharing a little more about your life. In my experience, the physical impacts everything else so much more than anyone realizes at first. You get so used to being a certain way that you don’t even realize you could feel better and have more energy. It all starts with the basics of what you consume. Making even small adjustments in this area can have a tremendous impact on a person’s energy level. Yes it does. Those small changes or adjustments can go a long way. Thanks for sharing your wisdom. My family and I do taekwondoh. It’s increased our energy and has made us more aware of our bodies. At first it was challenging to plan meals on taekwondoh nights so we opted to eat out. Not only was that bad for our budget but also our health. It took planning ahead but we’re better at eating healthy. I make simple meals on taekwondoh nights and save the harder to prepare meals for other nights. That’s great! What a cool family activity. It’s hard to eat healthy but it can totally make a difference when it comes to our health. Still working on that area. Thanks for the comment.